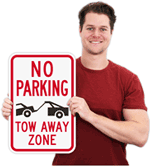 A No Parking Sign helps manage your busy driveway. 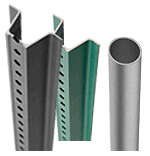 Aluminum signs are easy to install and will not rust. 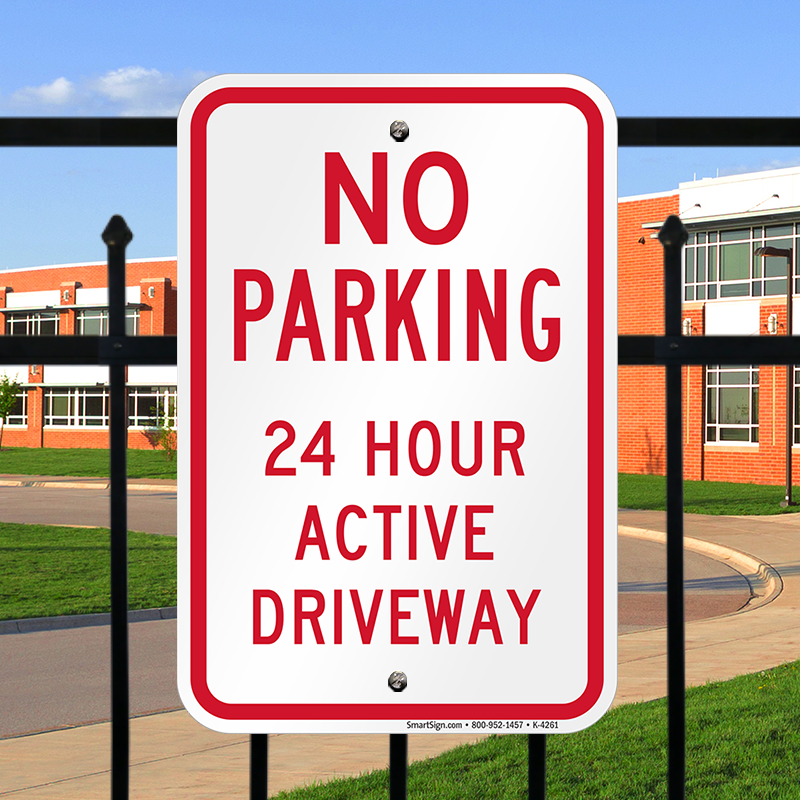 Build awareness of your active driveway and prevent unwanted parking with a bold and conspicuous sign. 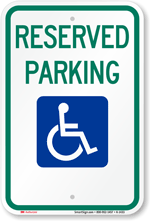 Sturdy aluminum parking signs are available in regular or reflective aluminum. 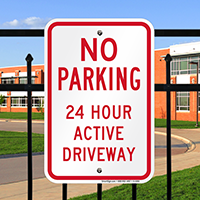 Every parking sign is made from the highest quality materials, and are easily mounted on most flat surfaces. This is a great sign. The shipping was quick and the quality is great. 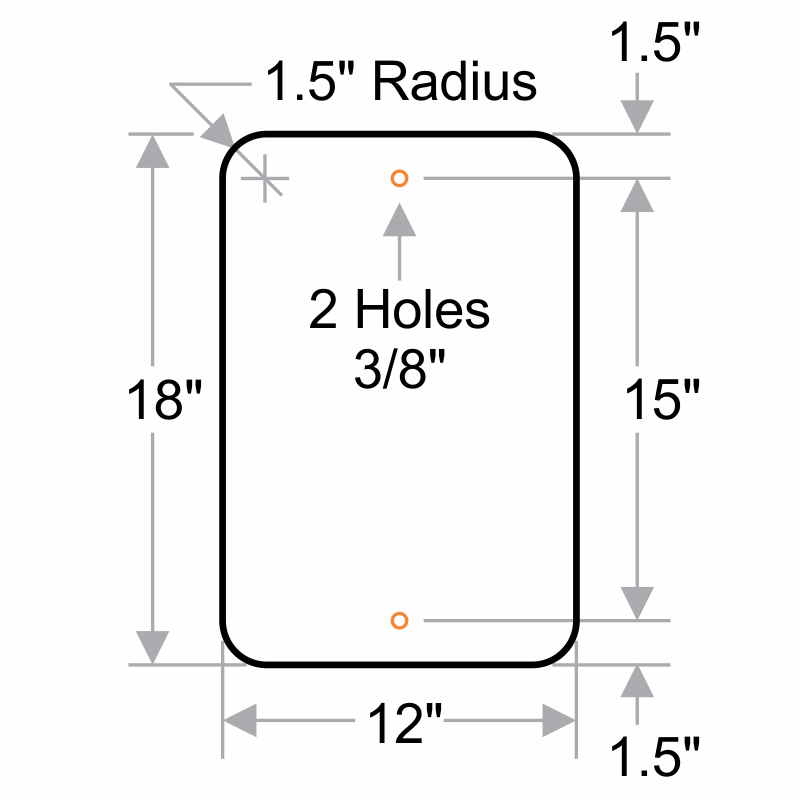 I only wish it had more bored holes for mounting- like in all four corners, as I will be putting it on a chain link gate in a very windy area- so we will just drill more holes for our purposes- but aside from that- very sturdy metal- very professional sign- love it!